Why do Dental Crown/Fillings/Restoration fall out ? This article will give you the reasons because of which your Dental Filling or Restoration may fall out. But remember that everyday in our Dental Clinic/Hospital/College we see many patients coming in a hurry stating having a dental emergency of having lost a crown. And many times they think the dentist did a faulty work leading to this, but here are the real reasons for your crown to fall off to clear your doubts. Decayed Tooth or Secondary Caries: The Tooth under your Crown got decayed with caries and on constant mastication forces chips off a fragment which looses the grip on the Crown which eventually falls off (As seen in the image). Remember that having a crown does not protect your tooth from Caries, crown is just a way to help in Mastication and aesthetics. Breakage of Crown: Eating hard foods like chewing on Bones, eating Sugarcane directly, trying to open bottles with your teeth/crown, use your teeth to tear or break hard stuff.. etc can cause your crown to get cracks or even Break because of the continuous excess forces being exerted on the crown. A Simple crack can later turn big and break your crown. So eat less of hard foods and dont try to do industrial work with your teeth. Chewing on Sticky food: Eating chewy food like Sticky Candy or Jelly continuously can loosen the bond between the tooth and the Crown by affecting the Cement which holds the Crown to the tooth. After loosening the Crown just comes out with the candy as seen in many instances. So make sure you chew sticky candy with your other teeth and decrease the amount of Sticky Candy you eat as it is also a major cause of Caries. 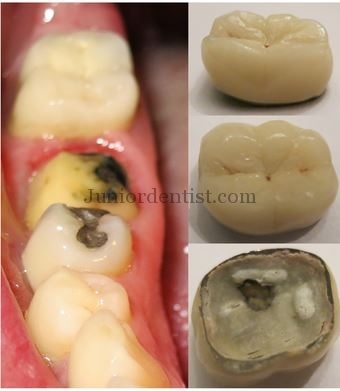 Loss of Tooth Structure: Loss of tooth structure underneath the Crown will also lead to Dis-lodgement of Crown as the surface area required to hold the crown is lost and the crown just falls off. The loss of tooth structure can be of many reasons fracture of tooth structure, caries of the tooth etc. Faulty Cementation: Cementation is the procedure where Dental cements like Zinc Phosphate or GIC are coated on the Inner surface of the Crown and fixed on to the tooth surface which fixes the crown to the tooth structure, if there were any air voids or irregularities in the Cement mix the bond between the tooth and crown weakens and dislodgement of crown takes place. Faulty Tooth or Crown Preparation: Defects in Tooth preparation (by dentist) or Crown preparation(by dental lab technician) also lead to loss of crown. 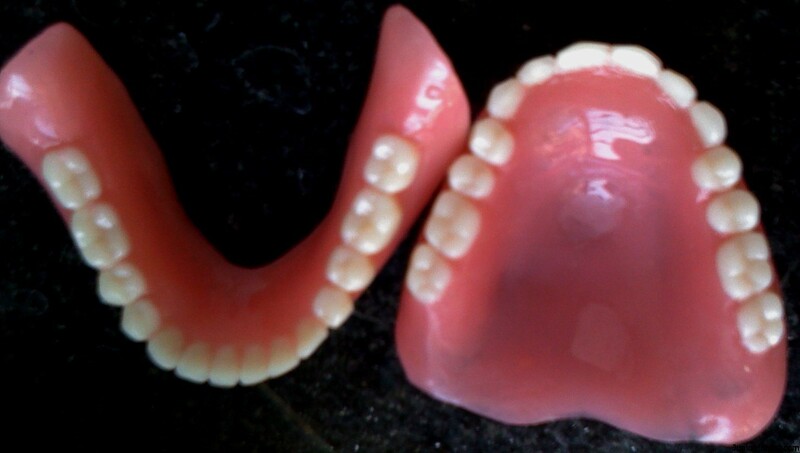 When you loose your Crown don’t panic and don’t replace it on your tooth as it will dislodge while eating and you might swallow it causing severe problems. Just remove it and keep it safely, if you cannot get to the dentist immediately go to your local pharmacy and take Temporary Dental cement and use it to keep your crown in place temporarily. Do not eat or Chew any hard food substances on the side your crown is dislodged as the Tooth which is prepared is very fragile and can fracture. In the end do not panic, it is a common thing for crown to dislodge so be calm and go to your dentist who will re cement it in place.